The iPhone X, iPhone 8/Plus are deeply unusual version that are perfect for HD movies & TV shows. Speaking of movies for iPhone X/8/Plus, movie streaming services like Netflix or Blinkbox may come to your mind. But they require monthly charges or the like. Is it possible to watch free streaming movies on iPhone 8 without paying? Luckily that the App store has numerous free movie apps for iPhone 8, XS/XR/X, some allows you to free stream movies on iPhone 8/Plus, some others have download options built-in. If you don't know how to choose, here we list the best apps to watch free movies on iPhone 8 (including Cydia movie streaming apps for jailbroken iPhone 8/X or earlier ). MacX MediaTrans - transfer videos/music/photos/iTunes purchases etc from iPhone to computer to clean space on iPhone X/8 to save streaming films' caches and downloaded HD movies; import downloaded movies from computer to iPhone X/8 to watch offline..
SnagFilms leads the list of iOS 11 free movie streaming app for iPhone X/8/Plus/7s/7. It offers a 5000+ large library with 720p and 1080p movies & TV shows in 17 genres. The special part is that you can not only stream Hollywood blockbusters on iPhone 8, but also a number of regional cinema, independent films and documentaries. While you can't download free movies for iPhone 8, all the movies are available for free access with an account. However, you may encounter buffering problems with high-resolution movie streaming on iPhone 8 (Plus) or iPhone X. If you're looking for the best free movie apps for iPhone 8 to stream films without jailbreak or paying, your search can end with Crackle. 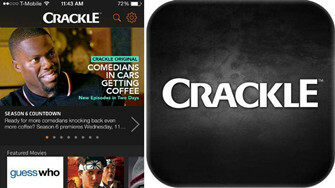 Though lagging far behind paid services like Netflix or Hulu, Crackle offers a fairly solid collection of about 250 full-length movies and 50 TV Shows for free streaming. The movie streaming is fast and smooth, with almost no buffering problems on Wi-Fi or 4G. However, the movies cap out at 480P and there are ad breaks during the streaming. Popcornflix is also among the best apps to watch free movies on iPhone X or iPhone 8 (Plus). It offers hundreds of movies and the collection keeps updating. After you download the free iPhone 8 movie app, you can watch movies (including newest Hollywood movies) without any charges. However, the movies offered top out at standard quality and some are in intolerable poor quality. Overall, it's still a nice free movie app to stream full movies on iPhone 8 with room for improvement. Tubi TV is also in the camp of best free movie streaming apps for iPhone 8 that worth a shot. 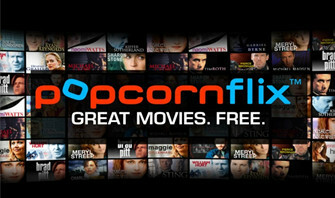 It offers free movies and TV shows streaming in full HD. 2017 latest TV series and movies are added every week. 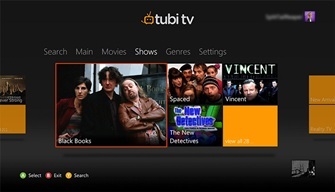 With the high quality movie streaming, frequently updated movie database and use-friendly interface, Tubi TV is one of these free iPhone 8 movie streaming apps that is giving competition to leading movie streaming apps like Hulu and Netflix. It would be better if there is option to download free movies for iPhone X/8/Plus. * Large movie collection with 2017 newest movies. * Free stream movies on iPhone 8/Plus, and various more like iPhone, iPad, Android, Roku, Xbox, Samsung etc. * Full HD movie streaming experience. * There are commercials on movies. 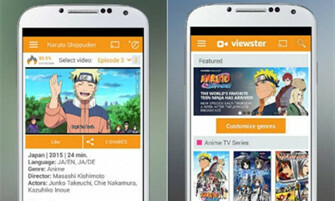 To watch free movies, TV shows and anime instantly on iPhone X or iPhone 8/Plus without jailbreak, you can also use Viewster. As one of the best free movie apps for iPhone 8, it has a good collection of full-length original movies & popular TV shows in DVD quality for free streaming without sign-up or fees. However, the app doesn't feature the mainstream Hollywood blockbusters or hit TV shows, so if you want to watch the 2017 latest Hollywood movies on iPhone 8, Viewster is not your best choice. Streaming with buffering? 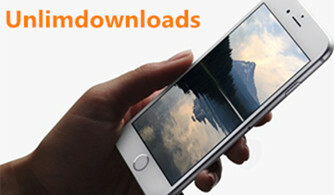 How about Free Movie Download Apps for iPhone XS/XR/X/8? Most apps for free movies on iPhone 8/Plus offers online streaming only (without jailbreak). What if you want to watch movies on iPhone X/8/Plus offline when there is no internet, e.g., when you're on the way to work, or during a trip. There are apps that can download free movies for iPhone 8, however, they are not free. * Amazon Video- the app is free, but you can download purchased or rented movies only. No way to watch free movies on iPhone 8 offline without paying? There ARE desktop apps to free download movies for iPhone X/8/Plus. Here we will recommend MacX YouTube Downloader. This app can get 2017 latest FLV, 3GP, MP4 movies free download for iPhone 8/Plus (TV shows, music, videos, adult content) in 4K 2160P, HD 1080P/720P, SD, 360 VR from YouTube, Dailymotion, Facebook, Vevo, Vimeo, Metacafe, xnxx, Xhamster and 300+ movie sites, and automatically add the downloaded MP4 movies to iTunes Library. 1: Free download the free movie app for iPhone 8 and run it on computer. 2. Copy and paste the movie URL you'd like to download to the URL box. 3. Click "Download Now" and it takes only a few seconds to minutes based on the internet. 4. Add the downloaded movie to iTunes library and sync to iPhone 8, or import the movie directly to iPhone 8 with the movie helper like MacX MediaTrans. Cydia movie apps have one big advantages over non-jailbroken apps: free movie downloader option. If you're looking for best apps to watch free movies on iPhone X or iPhone 8 and also free download flims, bigU movie app is a good one. BigU movies app is a great movie app for iPhone 8 and other jailbreak mobiles to free stream and download the newest collection of movies which is updated daily. One drawback is that the account to use the free app is not free, which however, can be solved via many unofficial ways. 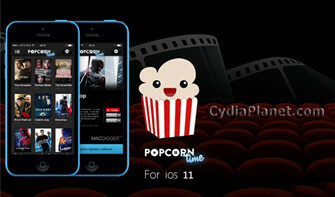 Popcorn Time is a popular Cydia free movie app for iPhone 8 for movie streaming and downloading. Popcorn Time is a Netflix-alike app which allows users to stream movie torrents and watch pirated TV series and films in HD (720P or 1080P) quality. With the free movie streaming app downloaded on jailbreak iPhone 8, you have free access to the endless collection of the most popular and 2017 latest movies. However, Popcorn Time has experienced ups and downs continually. Unlimdownloads is a full featured free movie stream and download app for your iPhone 8 with jailbreak. This application has received rave reviews among jailbreak users. With this app, you can stream songs, movies up to full HD as well as free download movies and tv shows straight to iPhone 8/Plus, iPhone 7/6s/se and iPad. You don't have to pay subscription rental fees for Netflix, Redbox, Hulu Plus, iTunes, and other services and free movies streaming is easy. 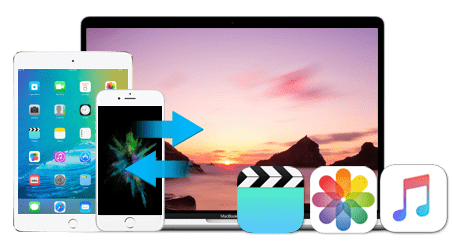 MacX MediaTrans offers the easiest way to transfer movie, video, music, photo, voice memo, ebook and more from iPhone to computer for freeing up more space to make iPhone run faster when running free movie apps for iPhone 8/7/6. Top iPhone 8/8 Plus advantages and disadvantages review. Useful tips to fix iPhone 8/Plus update problems. Guide you to transfer audiobook to iPhone without iTunes. No space left on iCloud? Free up space on iCloud now.